Last week I wrote, 1.4 Billion Reasons Why eBay is Walking Away from Auctions which spoke about the new direction of eBay as a conglomerate. In that article I used a fictional character to represent the desire of the eBay management team to dominate the world. After I published the article my thoughts went from the satisfaction of having written a deliciously evil analogy about the massive shift of focus of a huge company to thoughts of fairness and concern. I did not really want to say that in a personal sense, John Donahoe was evil. The man is just a man and I really do not think anyone should call another man evil, unless they know for sure that he is. I do not remotely think Mr. Donahoe is evil, he is simply a highly placed corporate executive trying to make the most money possible, his only concern being the final balance sheet. (hope it is not the stock price). This may be distasteful to some, but not to me, I like making money. Although I also care about my long time customers and hopefully would not forget about them quite so easily. I quickly wrote, BTW - John Donahoe is Not Evil, and Neither is eBay- It was a Parody… . This caused confusion among my readers and I saw the effects of that confusion in my Twitter feed which included comments to me (and about me) from followers and friends, concerned that I had received a call from Dr. Evil himself. I received no such call from Dr. Evil, unless it was sent telepathically or via the sub conscious. My true feelings were conflicted as I did not want to offend Mr. Donahoe or the other eBay execs by making it seem that I am telling the world that they are evil, on the other hand, in some peoples perspective, the deeds are close to the analogy. Like a patient with Alzheimer's, eBay has its mind on other things. ...and I know this is a very tough pill to swallow for many long time users of the site, but eBay is not so quietly moving itself out of the eBay business. The core eBay business is still active and alive, the patient is with us, physically if not in spirit. We can see something is wrong, our trusted friend is not quite the same, we know deep down there is a change coming that we do not want to think about or speak about... Our friend eBay is dying. Emotions abound, everyone wants to help, no one knows what to do yet everyone has an opinion. We call the doctor and the diagnosis is clear, yet we do not believe. The patient, eBay, knows it is on a different course, yet we all keep thinking the inevitable will not happen. Sometimes the hardest part of life changes like this is the deception. We all deceive ourselves into thinking everything will be OK. The patient is not eBay as a corporation, that will survive for eons. The patient is eBay auctions which are travelling through the final chapter of an amazing lifetime. It is time to say goodbye. Fixed price will live on, the corporation needs that to fuel its finance business and Paypal beast but auctions are just too much trouble. The answer is John Donahoe. He said what almost every eBay store owner has said to him or herself on multiple occasions, except John Donahoe has never operated an eBay store. John was speaking about the eBay auctions business, it seems clear that in John Donahoe's mind, the core business of eBay is more of a pain point than a legacy. The New York Times article is one of the best and most in depth I have yet seen covering the real evolution of eBay into an Amazon clone. BRAD STONE of the New York Times seems to indicate this move towards fixed price may be too little and to late. I think eBay should just change its name to PayBay. PayPal and the new acquisition Bill Me Later are John Donahoe's vision of the future. While the eBay name and logo are colorful and shiny, PayPal is the engine that drives the bus. Back in 2007 I wrote an article which offered a suggestion about how to feed the PayPal engine. The exponential growth of PayPal has proven that eBay is simply a feeder system for the money machine known as PayPal. PayPal would not be the cash cow it is today if eBay did not exist, eBay may not exist if it continues to increase fees and limit the ability of sellers, both new and experienced, to make sales. Sales are what drives the engine of the cash flow which feeds PayPal! Imagine - if you will… a system of eBay where fees were completely removed (Somewhat like CraigsList or Kiiji). This would be a free market system like no other and the exponential growth of the PayPal transactions would more than cover the losses from removing fees for sellers. The competition (Amazon/Google Checkout) would no longer be a threat to eBay/PayPal because eBay has the advantage in worldwide numbers. That advantage is dwindling only due to the fee changes over the last several years. If eBay were to remove fees for listing and re-listing and continue to insist on the use of PayPal for transactions then I say eBay would have a complete stranglehold on the Internet marketplace for years to come. So, if the market is afraid of eBay reducing fees, what do you think they would say about removing fees altogether? If eBay is so excited about buying up and creating free classifieds sites around the world, and since they are obviously closing down the eBay core business of auctions... Why not spin off the auctions marketplace and make it fee free? Sell advertising and rake in the PayPal/Bill Me Later millions. Someone, please... Pull out the thorn. The head of eBay does not believe in the auction format. 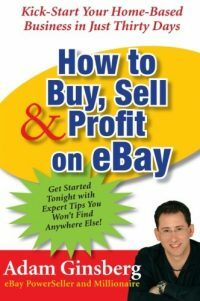 The head of eBay will not expend any resources or invest in any new development for the auction format. The head of eBay wishes he could clean the slate clean and start over… This is what he said, not I.
eBay does not feel the auction format will survive, who am I to argue with them? Since before Jesus, humans loved bargaining in the markets all over the middle east. It’s still in our DNA. Donahoe can take away eBay auctions, but he can’t take away the thrill of the win. When a seller isn’t sure of the “correct” fixed price, using the auction format solves the problem. This is especially true for eBay consignment sellers called eBay Trading Assistants who may not be an expert at every single thing they sell. Perhaps the thrill of the hunt will shift to finding and buying fixed price items that are priced too low on eBay. But that involve no 1:1 haggling and may not give the same adrenalin rush. For a decade now eBay has grown rapidly in spite of itself. While Meg Whitman and others like to claim that they were responsible for the rapid expansion, it was primarily a matter of being in the right place at the right time. In fact, eBay’s growth has actually been quite slow in comparision to eCommerce as a whole. But they had a niche and they filled a need. Now there is a new management team intent on creating the “New eBay.” Unfortunately, they seem to be so focused on Amazon, they are missing some major opportunities. Opportunities they would be able to take advantage of if they had a better understanding the marketplace as a whole. Instead of fulfilling a niche, or carving out a bigger, better niche, they are doing their best to become another “me too” enterprise. I have to disagree with those who say they are abandoning eBay Express. While they may be dropping “Express” the New eBay is actually a giant revamping of the original intent eBay Express. So the question now is will the New eBay be the New Coke of online shopping? I guess you are right Scott, the only thing that matters is what the higher ups at eBay believe. I just find it hard to understand why they would completely eliminate a format that still makes money, that keeps buyers on the site, and that keeps sellers who will also buy on the site around. It seems like a big gamble to count on the fixed price side only! QUOTE: “The patient is not eBay as a corporation, that will survive for eons. The patient is eBay auctions which are travelling through the final chapter of an amazing lifetime. It is time to say goodbye. Auctions are still vibrant and viable on Ebay, even if Ebay is frustrating the heck out of every user (buyers I talk to are as frustrated by having to relearn how to use the site every few weeks, as sellers are). Which, as an auction only seller, makes it difficult to walk away from the site, as I will never get some of the prices that I achieve on Ebay, in any other venue. 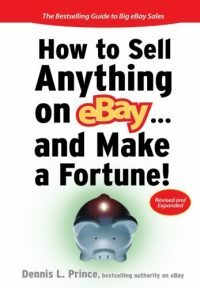 I agree that Ebay will live on in one guise or another, but (a) Ebay is not a retail marketplace, as much as they want to be, and (b) I am not convinced that “Fixed price will live on” if Ebay insists on screwing down the sellers profit margins, undermining their ability to ship viably, and continues to feed a distrust of sellers into the marketplace as a whole (so that buyers will protect themselves with PayPal), while setting themselves up to receive a constantly increasing percentage of the average transaction. Ebay sets up that increase in percentages more subtly than just having price “adjustments”. By limiting shipping charges they take a percentage of the shipping that has to be included elsewhere in the transaction, by removing paper payments they take PayPal fees from a higher percentage of transactions – thus Ebay achieves a higher percentage of overall sales while at the same time allegedly “incenting” sellers to sell their goods cheaper, and offer free shipping (which results in a little more percentage for Ebay). As a monolith with a large market share, this may be sustainable for Ebay, but it is not a sustainable business model for those who try to retail fixed price on Ebay. I have sufficient mark-up in the uniquish items that I sell, to eat the fee creep that Ebay has dealt me this year (my fees have increased by over a third as a percentage of sales since February – but being in Australia I don’t get the discount which would reduce that somewhat). By setting up an unsustainable business model for fixed price sellers (unless they are buying liquidated stock for pennies in the dollar), though, I can not see how this can fuel Ebay’s expansion in other areas. I am pretty much seeing the same game plan that you are, but I see a different longer term outcome. 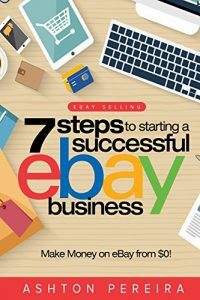 Sadly, as Ebay ignores ecommerce issues that arise from conflicting policies introduced while trying to gouge further fees in the process, it is clear that they are not learning from the financial implosions elsewhere worldwide at the current time. Avarice prevails – the customer does not. EBay CFO Bob Swan acknowledged during the conference call that as the tide of new eBay users slows, keeping existing customers happy becomes critical. Thank you for a very interesting read. True this is what I have already thought for a long time now but its so nice to read it laid out like this and confirm what I have seen is not just me being paranoid. It is still hard for me to accept that eBay the online auction giant does not want to do what made them what they are. It just confuses me. I can however see that PayPal is where they are making the money. I mean I rarely sell on eBay anymore at all BUT I do use PayPal to accept payments, send payments, even pay some bills, and use their debit card. So eBay still makes money off of me. Like many I find it difficult to completely cut the cord due to PayPal being the widest form of online payment used. What are we to do. I do most of my selling these days & buying on a site called Bonanzle. They may not have auctions, but hey neither will eBay soon. I find the atmosphere on Bonanzle much more pleasant and the staff very helpful. It was such a nice change when emailing tech support to get a personal response in just hours. I was not used to that kind of treatment having been an eBay seller for so long. I just have come to the point where I cannot let eBay cause me stress any longer. I soon will not sell there at all anymore. I already do not buy there at all anymore. I make 99% of my purchases on Bonanzle and some on Amazon for books. Why stick with eBay when their only goal is to take away what makes them eBay anyways? I see no point in dealing with all the hassles of eBay for something that I can go to another site with friendlier community, where I can accept multiple payment options and be in control of my business again. I only hope all of the eBay followers see this as clearly and make a run for it. Thanks again for a wonderful article. I agree I don’t believe the man is evil, but in his trying to accomplish making more and more money he has stomped on my family and friends and small business owners. So by those actions why should I stick around?